Ascetic but cosy and friendly small club near Vaasa town. 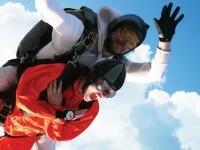 Tandem skydiving for almost everyone & a Skydive School (AFF) for those who wish for more. We operate from our base at Hood Aerodrome Masterton in the Wairarapa for the Wellington, Manawatu & Hakes's Bay regions of New Zealand. 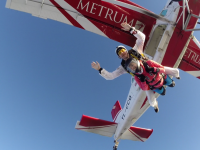 Formed by professionals with thousands of jumps, São Paulo Parachuting combines the adrenaline of the most radical sports with the realization of the dream of people to fly. The best and biggest DZ in Center West. 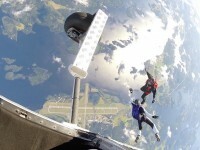 Good weather the whole year. Specialed staff an excellent structure. Good vibs! 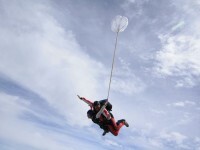 2nd dropzone at Siegerland airport (EDGS), please check our website for dates. 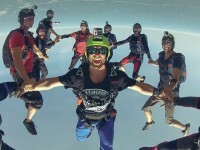 Hellenic Skydivers are the leaders in skydiving in Greece. 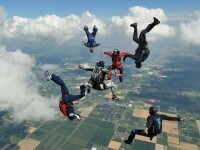 Organizing skydiving schools for beginners in a regular basis. 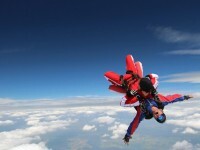 Open every weekend for skydiving activities. 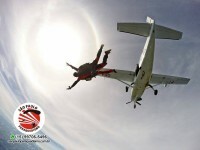 Organizing exhibition jumps, National competition games, skydiving events every year since 1990. 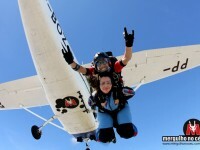 The oldest in Greece and the only skydiving club with it's own airplane. 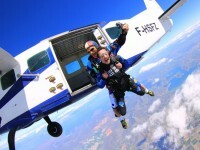 Opened in the autumn of 2014, Skydive-Athens is the only skydiving center in Greece which operates all year round flying a turbine aircraft to 14000ft (4200m) in only 15 minutes. The nice setup and ambient facilities provides a relaxed but professional environment and invites you to spend many hours and days with us.